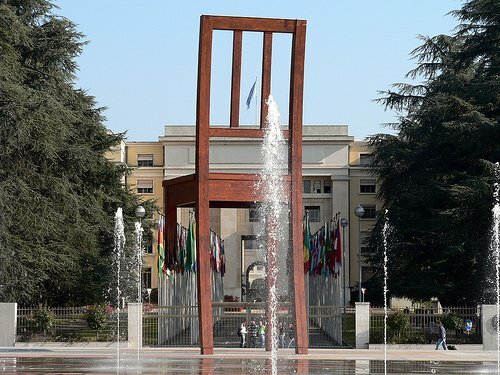 UNPO has submitted an Alternative Report to the United Nations’ Human Rights Committee (HRC) ahead of the 108th Pre-Sessional Working Group, in anticipation of the review on Chile. The HRC will review Chile’s efforts to uphold the human rights enshrined in the International Covenant on Civil and Political Rights (ICCPR). UNPO’s report has determined that there are indeed human rights violations occurring in Chile, and focuses on the situation of the largest indigenous group in Chile, the Mapuche. The major issues the Mapuche face are a lack of self-determination, an exploitation of land and culture, a portrayal as terrorists by the mass media, and discriminatory prosecution under draconian anti-terrorism laws. The Mapuche comprise almost nine per cent of the total population of Chile, yet they remain constitutionally unrecognised, and many live in abject poverty. Furthermore, decisions affecting their ancestral land are often made without consultation, with deleterious consequences for the culture of the Mapuche. In addition to the lack of consultation, when Mapuche protest their discrimination, they are branded as “terrorists”. The selective use of anti-terrorism laws is a blatant exercise of racial and ethnic discrimination, and violates many of the rights enshrined in the ICCPR. Many human rights groups and other non-governmental organisations have condemned and questioned the use of these, and other, anachronistic laws and practices, which indicate the scope of the human rights abuses being committed. - Stop the discriminatory prosecution of the Mapuche under the antiquated anti-terrorism laws. - Create legislation to safeguard the Mapuche’s and other indigenous people’s right to use ancestral land, even if not exclusively occupied. - Grant constitutional recognition of the Mapuche and other indigenous people. - Promote the development of indigenous media, including by increasing opportunities for indigenous journalists.